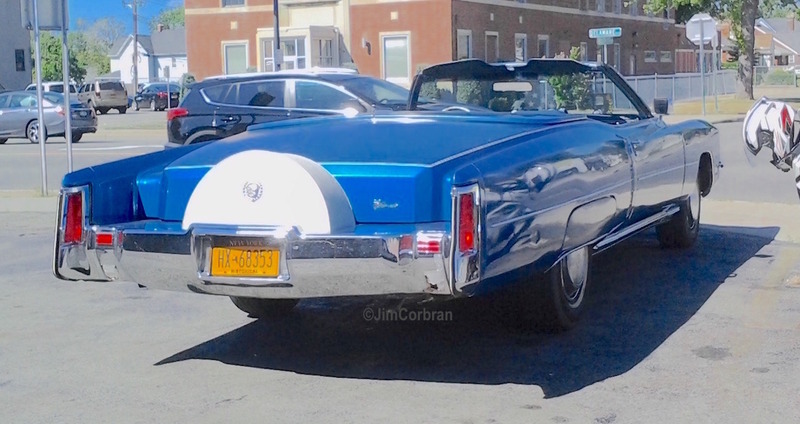 I wonder if the owner of this 1972 Cadillac Eldorado sees the irony of a continental kit on a Cadillac? At any rate, I must say that running across this one last summer in Kenmore marks the first time I’ve ever seen this setup. Hard to say if there’s really a tire inside that white hump, but if I were a betting man, I’d bet not. Anyone out there who can verify one way or t’other?